to bring the MoA of a scientific compound to life. Your various target groups – healthcare professionals, patients, investors and shareholders – demand tailor-made information about product benefits. Most importantly, scientific and product-related facts such as the underlying mechanism of action have to be communicated effectively, within the industry and beyond. Why not explore new possibilities to communicate? The mode of action of a pharmaceutical product is one of the most difficult concepts to communicate. Why? Because most mechanisms of action happen at a molecular level, triggering complex signaling cascades and thus influencing cells, tissues, and organs. This presents a clear challenge for the pharmaceutical industry as understanding the MoA is extremely important for the decision-making process and can affect the approval or use of a new drug or therapy option. 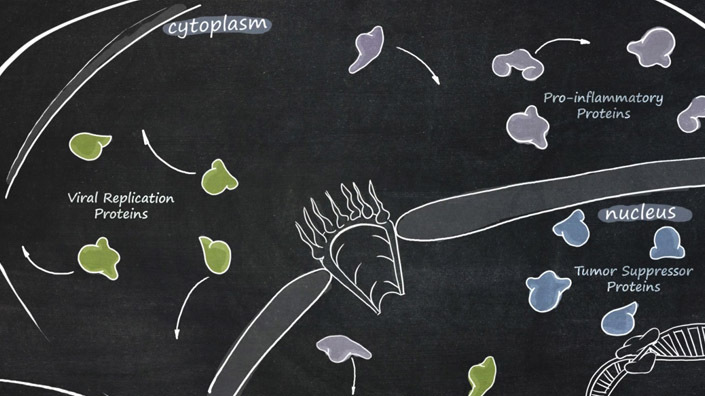 For these complex scientific subjects, Visual Storytelling offers a solution: complicated subject matter can be presented simply with catchy graphics and sophisticated MoA animation. Extensive studies have shown that graphics, mechanism of action animation, and film sequences can have an enormous influence on people’s perceptions of a given topic. Visuals are processed 50,000 times faster than text, graphics quickly affect emotions, and emotions are very influential in the decision-making process. This is the beauty of Visual Storytelling. There is no question – good visual stories can influence decision makers, and those who use Visual Storytelling to present their mechanism of action give themselves a clear advantage over their competitors. The development of novel first-in-class drugs for the treatment of cancer and other major diseases is very expensive. In order to convince investors of your project, you need to make it clear to them which mechanisms underlie the disease and how the treatment approach will work. To supply potential investors with quick and easy-to-understand information about the technological approach of our client, we chose a Fast Sketch animation. Step by step, the explanations appear written in chalk on a blackboard. The product launch of compounds promising blockbuster sales need to be especially carefully prepared. 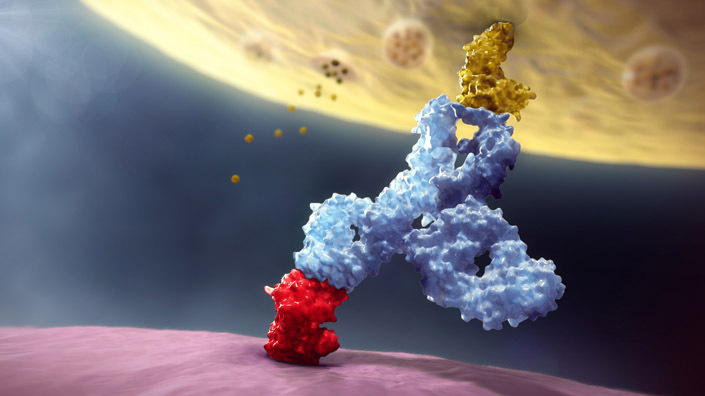 High-quality 3D animation films about the mechanism of disease and the mechanism of action provide internal target groups with exact information about indication, market situation and the different modes of action. During the life cycle of a product, many marketing materials are produced to communicate the key information to the target audience. Our client’s product had been on the market for many years and the marketing team had already developed a large number of brochures, presentations, and a special homepage. 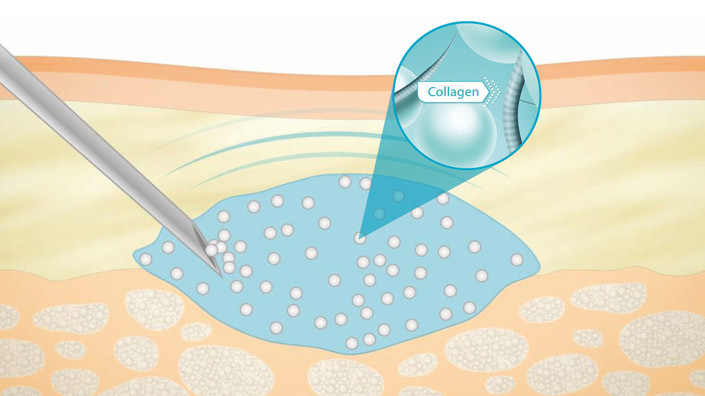 A new campaign with two goals was developed: Recalling the product – a dermal filler into the minds of physicians, thus increasing sales figures while at the same time depicting new findings regarding the mechanism of action. The client needed to reach health care practitioners and introduce the new mode of release of an existing active agent used for cervical ripening. The basis for the new delivery mode was a vaginal insert with an elaborate matrix that encloses the drug. The client also chose to depict the manufacturing process of the vaginal insert to highlight the matrix’s unique structure and to further underline the effectiveness of the new mode of release. Additionally, the film had to contain a step-by-step instructional application video for health care practitioners.